Newborns require special care from their parents and learning how to care for a newborn is better absorbed before the baby arrives. This informative class provides parents with specific information creating a more joyful experience in caring for a newborn. Topics covered will be hospital procedures/routines, diapering, burping, bottle feeding, breastfeeding, normal newborn physical appearances, sounds, and movements, sleeping expectations for parents and babies, and dealing with bringing home a newborn. Grandparents are encouraged to take this class as well, due to the fact that so much has changed in the way of medicine since they were parents. at West Boca Medical Center. Breastfeeding a baby is one of the most wonderful things you will ever do for your baby. Knowing how to do this correctly is critical. This class covers everything you need to know about breastfeeding before you're asked to put your baby to the breast. 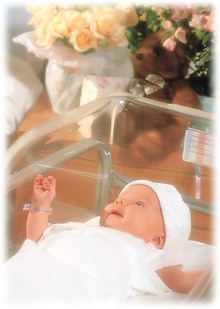 Topics covered start with normal breast development during pregnancy, when to start breastfeeding, which breast to start on, how long on each breast, how to know if the baby is getting enough, will it hurt, when does the milk come in, what is engorgement, what is a lactation consultant, when do I introduce the bottle, and many other related topics. Grandparents are encouraged to attend this class to learn about breastfeeding to better support you in this beautiful gift you want to give your baby. Located in the Education Trailers, just outside the Birth Care Pavilion, at West West Medical Center. To register online, choose from the available class dates (recommended 2 months before due date) and add your selection(s) to the cart. Click the VIEW CART link, and once you have finished shopping, check out and pay with a credit card. Your class registration will be confirmed via email or phone after payment is received. All classes are $35 per couple (expectant mother and support person), and are from 7:30pm-9:30pm. You may also register for classes by phone, just call us at 561-338-3322.